Do far right parties in the European Parliament pose a threat to democracy? Are Europe’s fundamental values endangered by the expanded far-right representation in the European Parliament? The appointment of Udo Voigt, former leader of the National Democratic Party of Germany (NPD), to a seat on the European Parliament’s Civil Liberties, Justice and Home Affairs Committee has intensified concerns about the impact the election of more far right MEPs is having on democracy in the EU. Voigt received a suspended prison sentence for inciting racial hatred during the 2006 World Cup in Germany, is on record praising Adolf Hitler and has downplayed the numbers killed in the Holocaust. The European Network Against Racism says the expanded far-right presence after the European Parliament elections in May “threatens the core European values of human rights and equality” and has called for a strong response from the Parliament. How dangerous is the presence of the far right in the European Parliament? And what should be done about it? What is the best way for the political mainstream to respond to the far right? Will extremists fade away when economic conditions improve? Or are such parties so dangerous that action needs to be taken to limit their activities? These issues need to be addressed, urgently, at a European level to prevent the repetition of dark past events in European history. What do you think? Is the rising support for the extreme-right a flash in the pan? 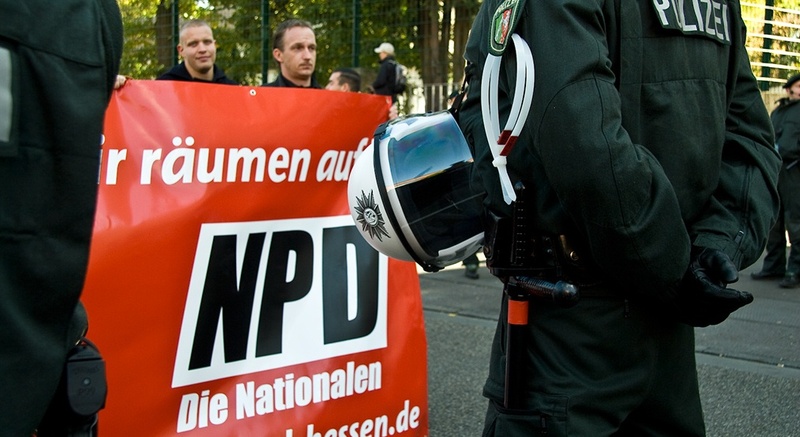 Will divisions between far-right groups neutralize their impact at a European level? Or does the political establishment need to take action? Let us know your thoughts and comments in the form below, and we’ll take them to policy-makers and experts for their reactions. They mean UKIP and Front National “types” that want to bring a new feudal age. the austerity you did put into place caused the far right to be there. Yes, I see where you go.Where is democracy? It is a real danger for european democracy!!! Jobbik from Hungary are a danger too! THe european parlament should take precaution and pay atention to those extremist! E.U. must be a union of citizens not a union of market vultures as it is today.Then there will be no space for extremist rightists. The question should be – does the European Parliament pose a threat to democracy? I repeat what was written above. Blaming the “far tight” is like trying to wrap your arms around the cloud of dust that you just created. Useless! It is trying to blame others when the blame is with the politicians who created the political conditions that led to the rise of the “far right”. Let us not forget! These politicians are the ones who pose a threat to democracy! They must take the blame! It was their doing! I do not accept that they now try to hide behind these events! You might want to chill on the exclamation marks there, chief. And you might also want to take some history lessons to see that it is repeating itself. Of course they do, what a silly question. Do the current political class and behaviour justify the disillusion? One might say yes. Listen to yourself! How can the results of democratic elections be a threat to democracy? What is “democracy”? Only when the “correct” parties are voted in? The far right may be a threat to the current EU and its values, but maybe it’s time the EU reevaluated those ‘values’, because if they’re not the people’s values, then the people will vote for parties which defend their values and not the abstract EU values. EU will have to change, if that is the will of the people and that is the most democratic thing that could happen. Otherwise, it’s headed to become what USSR used to be. Unfortunately the EU version of democracy is far removed from true democracy. Do the ‘far left’ parties in European Parliament pose a threat to democracy? I’d say both right and left both pose a threat to Democracy in Europe, and those in parties of the middle of the road do too, along with them. And why do I write that, well, ask yourself, do you see anything like true democracy in Europe? For goodness sake, we can’t get rid of any of you and you all are costing us a fortune under the pretense of freedom, which none of the States people feel or are happy with. Take a long hard look at yourself and ask, would you vote for you if you wasn’t being fed by us to say you believe your own mantra. try put up a mask of left ?i dos not fit . Yeah, stupid title. I’m leftist and I don’t agree with them but they were elected and have the right to be there. When extreme right starts having enough support to become a big EU group then I’d be worried. Actually if it ever happens, let’s just break up the EU because the whole EU project has clearly failed on an ideological level. How dangerous is the presence of the far left???? If you think that the far right parties pose a threat, then the same thing applies to the far left parties. Far left are pro democracy in nature, far right do not believe in democracy; things should just “be” a certain way, dictatorship, no discussion, just so. Far right have always been a threat to civilization. poate face mecanismul mai pu?in greoi , adaptat nevoilor societ? ?ii ,POATE BANUL �NCEPE S? PRODUC? NU S? STEA etc V? REGLEAZ?,REGULEAZ?.Poate l?sa?i tinerii (p�n? n 50 de ani ) s? lucreze , s? se distreze ?i s? nu �i prind? extrema ,altfel ….! 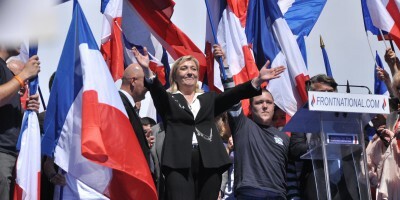 The existence of far right parties proves the good health of European Democracy, like in human health the disease comes when the balance between all elements is disturbed. All parties alike. As forme democracy should be redefined…..
All extrems form a thread to democracy, idiots like Wulders in our country but also people like Gysi in Germany. The far left and right are very much alike. Harmless but their presence in Parliament is worrying. .. There wouldnt be far right parties without extremist muslims and illegal immigrants. 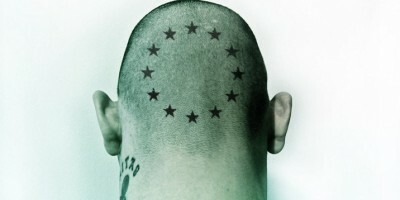 the eurocrats and federalists are the most extreme with their constandtever closer union bull. Of course they’re a threat, but do we have a democracy now? How easily we forget… Could the far right be threatening the democracy if elected? Well if I am not wrong also Hitler and Mussolini were elected. Extreme right, or extreme left… Well it’s just a question of being extreme. The politiceans are to be blamed for what they have done? Well so are each one of us. We all are part of this world and this society. 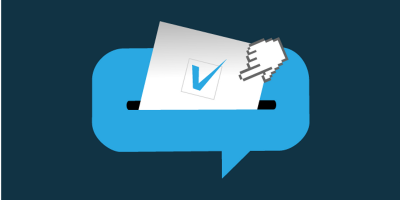 All with the right to participate, to vote, to be a candidate, to organize people. If you’re able to say sincerely that you have done all you can… Well, ok, then you could correctly blame others.. The question is… Have you? You are way off the beam here, we cannot vote in a way that removes those we don’t want. Block voting rather than individual selection or choice voting is a way they use to keep that old wheel turning. Which is why we never get the change we need and want at any election… It’s all done with mirrors. With the same cry we have now, well, he was voted in. That is bulls–t. Who voted for Juncker? Not his party, him personally? His party is led by him and do they know where he is leading them? The people who voted for his party, did they know who they would have to lead them and what that leaders policy was for their future? If you think yes, then explain to me what it is they are driving for and why. And why they are leading toward this mantra when they know the majority of the citizens across Europe don’t want it. Then tell me the voter is to blame for the choices they make. The choices they make are taken in the dark. Secrecy is then name of this game. In 1933 Hitler was not voted into power by the German people but by other parties in the Reichstag. The process was not so different from what we observe in the EP or in national parliaments – it is called horse-trading. Democracy is NOT at all about “Europe’s fundamental values” – whatever this is -, but about self-determination, interests and decision making by the people. Danger to democracy can only come from circles who try to abolish or limit such a self-determination. The so called “far-right representation” I am aware of all demand more democracy and not less. They should make research on this problem and publish it . We should know about who is financing those extremists and we should know how they get people to vote for them . Be they left, right or center- the EU is a challenge to itself! The discussions should rather revolve around a new EU structure- & not more piecemeal and insignificant distractions! The present EU Parliament should submit a “motion of no confidence” (>50%): to demand a suspension of the EUC, it’s “Executive Commission” & lastly itself- for creating a constitutional crises/mess, insecurities, discourses, following undemocratic principles & policies over the last ~60 years. Further, for being a risk to its EU members & its citizen, world peace & on being on a path of self destruction, overindulgence & overestimation. Patchworks of treaties, articles, statues & agreements dating back to 1950- mainly conceived during the cold war period have become a complicated legal labyrinth! It is too difficult to understand for most of us, even professionals, a costly nightmare to control & enforce. It has been designed to serve the biggest established global corporations, its political cronies & financiers to the detriment of ordinary law abiding taxpayers. It rather destroys- not enhances- the fabric of a natural growing, cohesive & assimilated Europe- using a wrong pretext. Further, demand a professional body to write a new EU Constitution and consolidate the patchwork of treaties etc. into a final revised, fair, modern, clear & understandable document- considering all concerns experienced so far. Participants of this “Constitution writing body” should include & be limited to the group of “fifteen- by now experienced EU members” after its fourth enlargement in 1995 but before its 5th enlargement in 2004. To be followed by approval procedures by all 15 members. It should form part of every ones own existing Constitution and rather expresses an allegiance to a united Europe with certain obligations. Definitely not a renunciation, abdication and transfer of ones own constitutional rights to a supranational lawmaking body like the EU Council & EU parliament. No duplication, only one parliament, and that remains’ at home- not in Brussels! Such separate “EU corporate/supranational parliament” will undoubtedly sooner or later lead to one “supra disgruntled EU nation” and to the closure of all home parliaments- a total disaster! It will mimic the might of global corporations in political terms with a handful oligarchs & EU apparatchiks in control! Again, more brainstorming, better ideas are most welcome! History is been repeated once again, and Europeans once again are unable to predict the natural evolution of the facts. The only solution is to eliminate the causes of the phenomenon. Stop the catastrophic austerity. Bring back the basic principles of EU. Build the Europe of its people, not of its bankers, bureaucrats and lobbyists. Create a European Germany, not a German Europe. After all, don’t forget that this “leading” country, who gives lessons of integrity to the rest of us, is also the leading country in money laundering from the third world. In other words, they steal money from poor countries! Its big enterprises, private or public are the top corrupters in European (and not only) countries! It’s also the only European country, who hasn’t sign the international Convention against corruption! That might say something, don’t it? Lets have a little flashback shall we. does this ring a bell of democracy at all costs, or, does it tell you in the face what is really going on here. Who is now going to take over from the cretinous Ashton, an unelected woman who never had a job in her entire life, who was appointed to our House of Lords because Blairs good friend was her spouse. Is the far-right dangerous? I’d say it is not, but not for the reasons you might think. First of all we must understand what the far-right represents. To put it simple: ignorance and irrationality. Capitalism, the system we live now, automatically leads to economic crises. It had a big one in the 1930s and it has one now since 2008 that we are still not out of yet. And by the looks of it we will never get out because the inherent flaws in the system are now fatal. Capitalism always creates wealth accumulation at the top – wealth that is now flowing, that it is not reinserted into the system. The old age of small shops capitalism is over and the new capitalists are not your friendly store owners but the super mega corporation from miles away ruining your economy. The far-right is always present, as long as ignorance and irrationality still persist, there is a bit of “far-right” leanings in all of us. Interesting question. We can roll back the clock to 1936 when Hitler rose to power…supported by Wall Street and the german industrialists who feared the country was on the brink of social(ist) revolution due to poor management. Capitalists get blamed and they are seen as the perpetrators of the disaster. “No..no…it’s not us! It’s…BROWN PEOPLE…or maybe jews( now they are calling them “zionists” but it’s basically the same because they can’t point to any difference ) or maybe , oh i dunno..let’s make it more personal EASTERN EUROPEANS. And these groups are well funded by corporations and the rich who want to make sure WE don’t see the REAL culprit of all this. And who are they? Well in America it’s easy, the Koch bros. are the main villain there. Here it is more subtle. Our media is not yet “trained” to detect this threat and it is also slowly being itself corrupted by this cancer. Rupert Murdoch’s slow creep on the brittish media is one of the main reason why the UK’s population is so against “evil regulation from Brussels”. Nevermind said regulations are for worker protection from big corporations. But they don’t know that, they are insulated from the truth. Of course as any good hate group, it needs a leader. In France it’s easy. 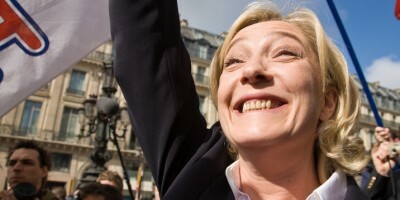 LePen – like father like daughter. In the UK again it is more subtle. Farage’s smile and pseudo progressive clap-trap hides the face of racism and xenophobia. Of course like any closeted racist he gets caught whenever he “is tired” and the mask slips off. UKIP’s voters are mainly white, male, and racist. The ones that are not simply do not understand where the real problem is. Anyway, they got elected now in the EU’s parliament. Are they a threat? Noooo. Simple, even their massive block is small and the other parties seem to have put all differences aside to fight them – bonus points for them. Here is the real interesting part. I predict UKIP and all the other racist parties that made it into the parliament to lose support MASSIVELY in the following years. Because their “grievances” are addressed? Hardly. But because the people who voted for them expect RESULTS, and fast. When they will be unable to deliver – being in minority and all and all they can do is maybe BLOCK any change they will have become the PROBLEM rather than the solution. So their short victory may prove to be their own downfall. Regardless. I agree with teh comment above. Europe needs to dispense with this ‘austerity” business. Stop listening to the IMF hacks who represent the US interest and want to only ruin countries and re-think our economic system on more HUMANE lines altogether. Stop being AFRAID to question capitalism. There are more choices than “capitalism” and “communism”. Stop being AFRAID to THINK ! Please try NOT to be a stranger to the truth! UKIP has people of African, Asian and Oriental backgrounds – it is NOT a racist party. All UKIP wants is immigration control and immigration equality. After all non-whites ex-EU are restricted in coming to the UK, so too should EU foreigners be restricted in coming to the UK. Please keep your RACIST views to yourself! Such views may be acceptable in whatever blighted realm you hail from but such views are unacceptable to UKIP and unacceptable to the UK. Let them be. FRP attract extremists and sorry as*ses radicals ready to commit crime like magnets, so if you looking for felons you know where to find them. Easy job for police and secret services. Eventually they will become extinct being replaced by others of their kind. Somehow they are a negative necessary social valve blowing from time to time certain anti social elements that can be kept under surveillance and control. So the answer is MAYBE until they commit a coup d’etat. The EU itself is the biggest threat to national democracy there has been since 1945. It is ideologically committed to hollowing out national democracy and sidelining the electorates. The focus should be on the banker criminals and the politicians who continue to help them loot the treasuries. Bankers have manipulated every interest rate in sight, deliberately sold fraudulent products rated by their fellow-conspirators the rating agencies and all the while since 2008 the politicians do everything to safeguard banker bonuses. When all the socalled ‘mainstream’ parties are captured by the promises of unelected income-tax-exempt EU jobs, where else should we go to put our votes? Only if we talk about FAR rigth.NPD,Vlaams belang,Jobbik and all of that kind.